Just when you think another Halloween had passed us by with not much more happening other than the ’round the block loop for trick or treating, and the resulting big bucket of candy to indulge in, we’re reminded of deep and dark thoughts…from the mesophotic zone of course! 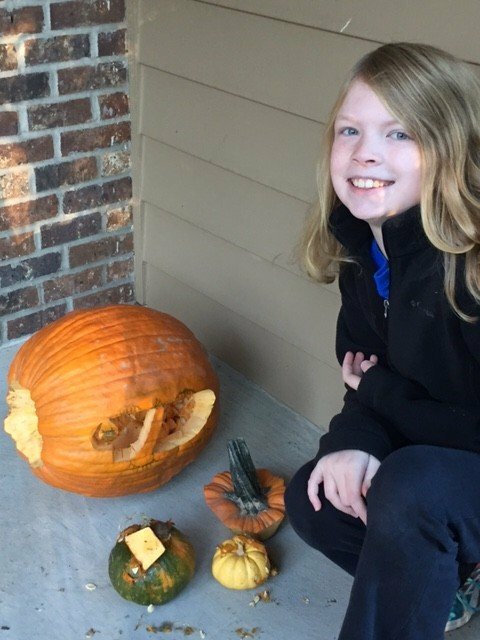 A student from Cobbles Elementary School shared the below image of her jack-o-lantern. This wins the pumpkin contest in my book! The carving is of Derilissus lombardii, my favorite mesophotic clingfish, which we discovered back in 2011. It’s always such a joy to see how these scientific discoveries – years in the making – can leave such a lasting impact on the community, and are inspiring future generations.